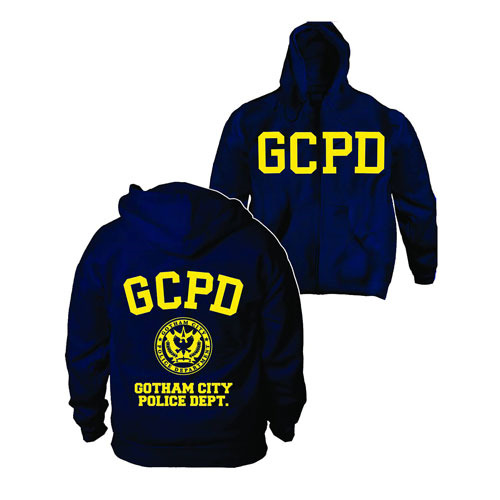 Join Gotham City's finest with this cadet hoodie! Whether you love Batman: The Animated Series, Fox's Gotham TV Series, or Christopher Nolan's The Dark Knight Trilogy show your allegiance to Gotham's hard working Police Department with this Batman Gotham City PD Cadet Zip-Up Hoodie. Perfect for keeping any fan of the Caped Crusader warm!